Lambskin condoms have been around for generations and it does take a lot to out-perform an original. NaturaLamb Condoms are simply the most realistic feeling condom ever made. They feel completely different from latex and have their own special sensitivity. Many men say that they actually forgot they were wearing a condom or that it had broken midway through the session. 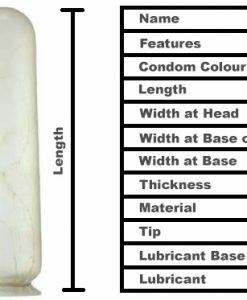 Each condom is made from a natural membrane and is lubricated with a unique jelly lubricant. As they are made from a natural product, they are the most luxurious, natural feeling condom available and are also environmentally friendly. These do cost more than standard condoms but once you use a NaturaLamb you will understand why. You cannot make lambskin in a factory and must depend on the natural internal material. Also, there is no experience like it. If you are in a monogamous relationship and are not concerned about STIs or HIV but use condoms solely to prevent pregnancy, then the NaturaLamb Condom is for you. They protect against pregnancy as well as a latex condom but with an unbelievable no condom feel. 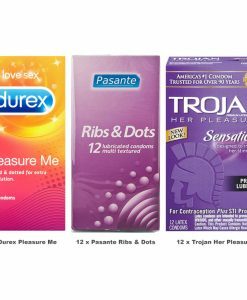 Produced by the makers of Trojan Condoms, they are a high quality product from a name you can trust.